CCE Mode Subject wise, Class wise Assignments, Projects Book for Schools, Languages, Non Languages Assignments Book, Projects Book for 6th to 9th Classes, Lesson wise/Chapter wise/Topic wise Assignments, Projects for 6th to 9th Classes: Class wise Mathematics Projects, Assignments; Class wise Science Projects, Assignments; Class wise Social Studies Projects, Assignments; Class wise Telugu Projects, Assignments; Class wise English Projects, Assignments; Hindi Projects, Assignments; Urdu Projects, Assignments; 6th,7th, 8th, 9th Classes all subjects Projects, Assignments; Class VI, VII, VIII, IX All subjects Projects, Assignments. Learning in the classroom cannot be a joyful experience for the child unless we change our perception of the child as a receiver of knowledge and unless we move beyond the conventional use of the text book as the basis for examination. The present CCE mode of curriculum has evolved from State Curriculum Framework (SCF) 2011. Here the teacher is a facilitator. Gone are the days when the children open their mouths in the classroom only to answer the few questions posed by the teacher. Gone are the days when only the teacher dominates the entire class. The CCE mode of learning is activity based learning through Projects, Assignments and through real life situations which bring the society at large into the classroom as stated by SCF-2011 : Children's life at school must be linked to their life outside the school. Thus projects are part and parcel of classroom learning. As we are all aware, projects are a set of activities in which students understand the concept thoroughly, collectively collect relevant information and arrive at certain conclusions. Projects, done in groups, as they should be, develop skills in Academic Standards such as Communication, Problem Solving, Connection with other subjects and Representation & Visualization. PROJECT: Set of activities in which pupils discover experiment and collect information by them- selves in a natural situation to understand a concept and arrive at a conclusion may be called a PROJECT. Project work will develop the skills in academic standards such as problem solving, logical thinking, mathematical communication, representing data in various forms in daily life situations. This approach is to encourage the pupils to participate, discuss (articulation) and take active part in class room processes. Project work essentially involves the students in a group work and submitting a report by the students on a given topic, after they worked on it, discussed it and analyzed it from various angles and perspectives. 5. Teachers must see that children with different abilities are put in each group and give oppor- tunity to select division of work according to their interesting task at the time of allotment of the project. 7. Teachers should act as facilitators. 8. Proper arrangements must be made for the presentation and discussion of each student’s project, when the students must be told whom to meet to collect the information needed. 9. Allow the students to make use of the library, computer lab etc. 10. Give time and fix a date to present the project. Each project should be submitted within a week in the prescribed Proforma. 11. Each project can be allotted to more number of pupils just by changing the data available in and around the school. 12. The projects presented should be preserved for future reference and inspection. 13. Every mathematics teacher is more capable to prepare projects based on the Talent/Interest/ Capability of students. 14. Teacher also ideal to the students by adopting one difficult project from each class. 15. Procedure of the project should be expressed by the students using his own words. 16. Each student should submit 4 projects in an academic year. You have noticed that every unit contains a project work to be carried out by the students; these are also thematically related. Projects help the students to evolve themselves as independent users of language. Project work is provides a platform for integrating language skills and various study skills; it also involves higher order thinking skills. 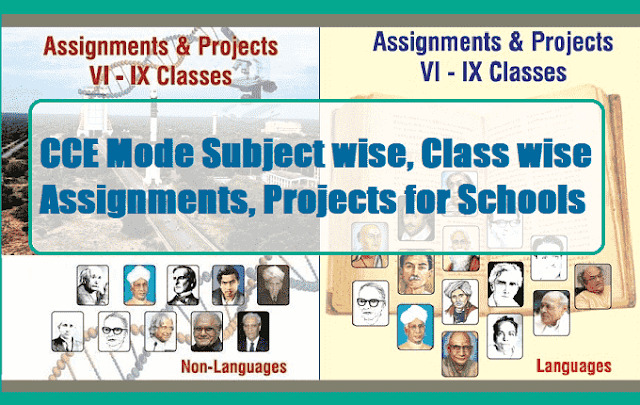 Projects included in class VII cover a wide range of themes that are socially relevant. The learners have to explore the theme by collecting data, consolidating it using different formats, write reports on them and make presentations in the whole class. There is space for individual work, pair work and also group work. In addition to the projects suggested in the textbook teachers can go more projects related to the themes that are dealt with. Please remember that sufficient brain storming is extremely important for doing the project as the students have to understand the purpose of the project, its scope and significance without which they will not be psychologically ready to carry it out. At various stages the teacher has to monitor the progress of the work, the involvement of the learners, and should take care of guiding them whenever necessary. Teacher is not supposed to prescribe any tools or formats but should interact with the learners in such a way that these will be evolved in a democratic manner. The interaction will also lead the learners to decide which stage of the project needs to be done individually, in pairs or in groups. We have to be clear about the time that each project work might take. Make sure that the work is manageable within a stipulated time. 5. What analysis can be made based on the data? The teachers handling English are hereby suggested that there are a few assignments given here in addition to the textual tasks in every unit. The written work under the ‘writing’ component of every unit can be taken as assignments. The students may be assigned minimum two for a unit according to their level. The evaluation of these written works can be considered to award marks for formative assessment’ written work’ [10 Marks]. To make the children attempt these tasks, proper guidance, features of every task, method of writing, language to be used, a few tips, clues etc may be given in detail and discussed with the children. Never assign any task simply writing on the board. Your sound guidance can only make them feel confident to write the assignments. Evaluate their works individually and encourage them to do better.